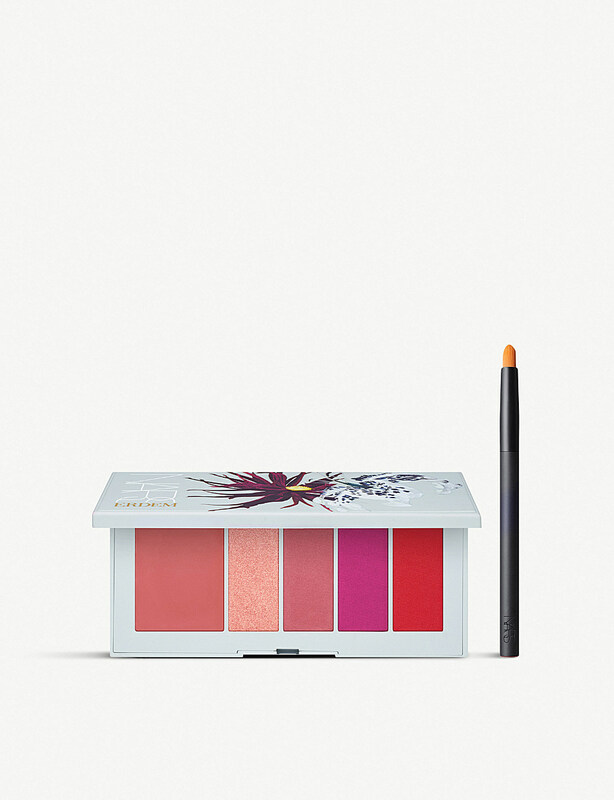 Fashion and beauty collide with this collaboration - The range, which was debuted backstage at his AW18 show, includes lipsticks, blushers, eyeshadow palettes and a highly covetable lip powder palette, plus a creamy, opalescent highlighting pencil and pretty blotting papers complete the collection. 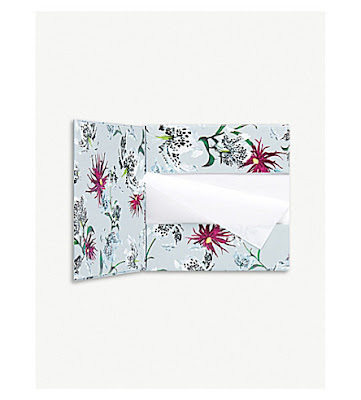 As you might expect, the exterior of the products has received just as much consideration too, with palettes and lipsticks encased in beautiful duck egg blue packaging and the boxes are adorned with one of three original Erdem floral prints, each of which have been handpicked by the designer himself. 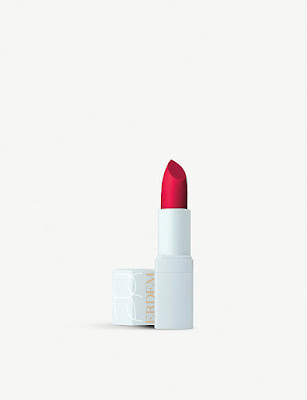 Erdem translates its romantic aesthetic into a beauty range with the help of NARS. The NARS X Erdem Strange Flowers collection is inspired by vintage make-up looks, something that’s clear to see in the Night Garden Eyeshadow Palette. A spectrum of bold shades, from shimmering gold to midnight blue, the rich hues caress your lids with crease-proof and long-wearing colour. Get the catwalk look with a swipe of plum lipstick. Erdem translates its romantic aesthetic into a beauty range with the help of NARS. 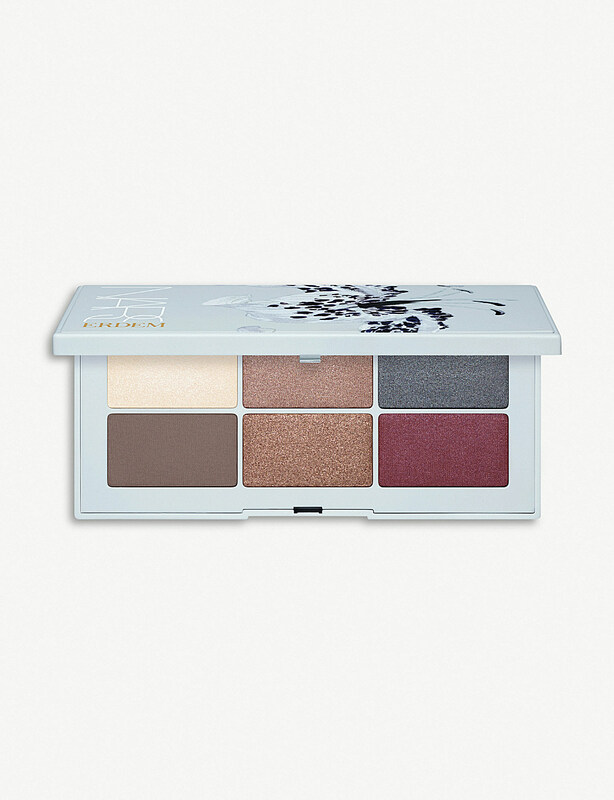 The NARS X Erdem Strange Flowers collection is inspired by vintage make-up looks, something that’s clear to see in the Fleur Fatale Eyeshadow Palette. A spectrum of easy-to-wear shades, from metallic minks to steely blues, the highly-pigmented hues caress your lids with crease-proof and long-wearing colour. This summer, the captivating originality of famed fashion designer Erdem Moralioglu meets the modern make-up world of beauty powerhouse NARS. Modern, unexpected shades and petal-soft textures blend with the British visionary’s signature floral aesthetic for an exclusive, custom-designed collection. This innovative palette includes a creamy primer and precision tip brush to paint lips in four delicate shades of pink, red and purple. 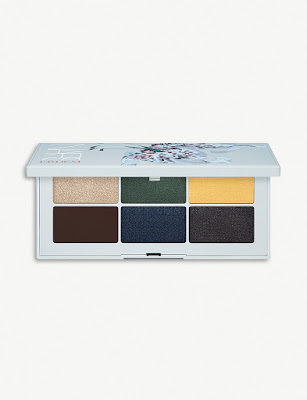 If you followed Erdem’s runway show then you’ve already had a sneak peek at NARS’ new make-up collaboration. The NARS X Erdem Strange Flowers range is (hence the name) inspired by blooms, with a vintage vibe. Perfect for enhancing your glow, the Multi-Use Highlighting Pencil is creamy and well-pigmented so natural radiance is easy to achieve. 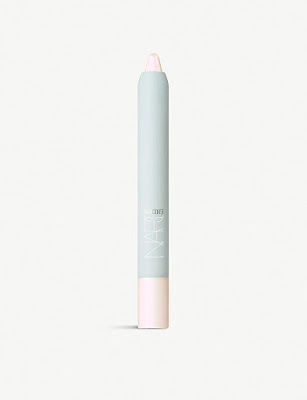 A pointed tip ensures precise application, whether that’s to your cheekbones or brow bone. Erdem’s coveted romantic aesthetic is now available for your face too, courtesy of a collaboration with beauty powerhouse NARS. Part of the NARS x Erdem Strange Flowers Collection (first previewed on SS18 LFW catwalks), the Mattifying Blotting Paper is designed to put the finishing touches to your dream make-up looks. Press yours gently across the surface of your skin to reduce shine for a smooth and oil-free finish.